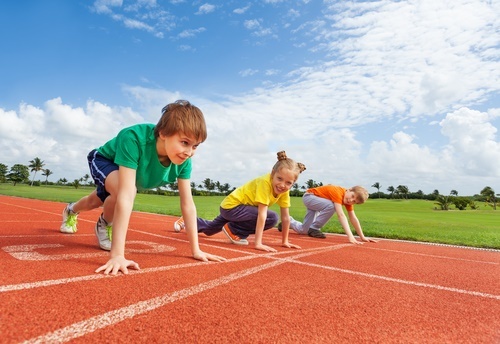 Running is an outdoor sport that can be carried out with or without shoes. 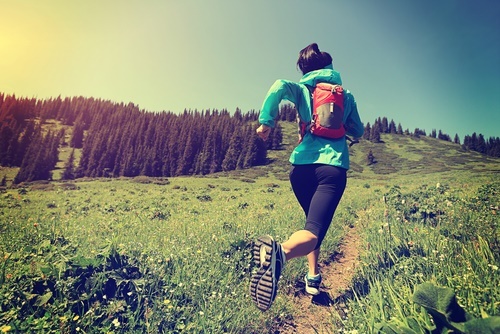 Most runners are adventurous and like to try out new things in their quest to get a better running experience. Most runners use shoes as their basic gear, some prefer to run barefoot. Barefoot running is becoming quite popular in different parts of the world. For improved foot biomechanics, running barefoot is said to be the best way to run. Barefoot running is simply running with no shoes. Many runners do this for effectiveness, some for health reasons, while some just love the feel of the ground. For some, they are just tired of being stuck in shoes that they want to relax and allow their feet to breathe better. Running barefoot could turn out to be the best option for you. However, it is important to know the pros and cons before you decide to go barefoot running. Barefoot running shoes also known as minimalist shoes are becoming quite popular. They are designed in such as way that the natural sensation you get from running barefoot is recreated. These shoes have to be lightweight, flexible and offer enough support. We have picked out and reviewed some of the best to help you make a good decision. 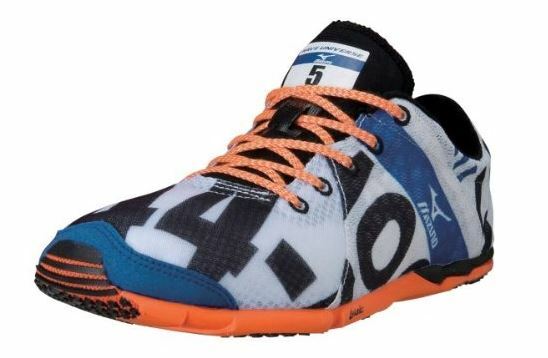 This barefoot running shoe is made from textile and synthetic materials. Its 5gen midsole is responsive and well-cushioned. Not only does it provide stability and lockdown fit, the reflectiveness of this shoe is both stylish and good for night walks or runs. 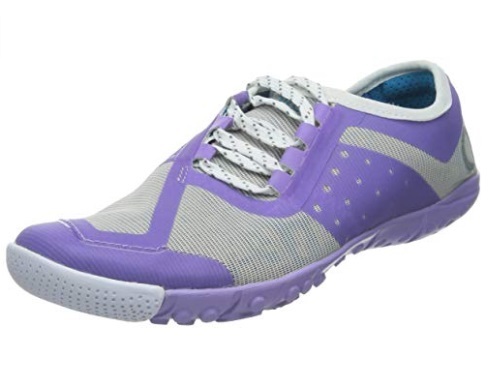 Furthermore, you will get breathability, comfort, and security from the Go knit feature of this shoe. 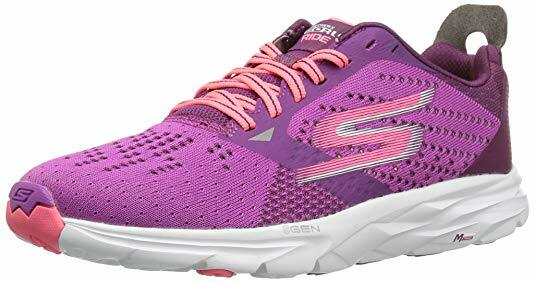 For good feedback, flexibility, and natural running experience, the outsole has integrated Skechers’ GOimpulse Sensors. 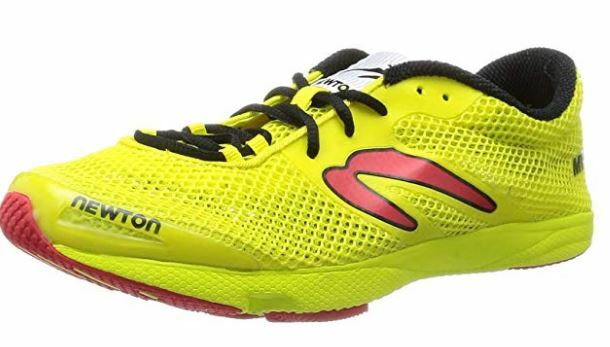 As a result, this lightweight shoe is good for speed workouts and long runs. This barefoot running shoe is made of synthetic materials. The shoe is one of the lightest barefoot running shoes, weighing about 2.2 oz. The shaft measures about 2.5” from the arch and has a lightweight U4ic midsole that gives you a resilient smooth ride. Furthermore, the G3 outsole is lightweight, provides good traction and gives you a great ground feel. In addition, Mizuno wave disperses energy throughout the body, and it has a SmoothRide fluid motion design incorporated into it. With its spacious forefront, breathable mesh and non-removable insole, this shoe will guarantee you have an efficient barefoot run. This barefoot running shoe is of mesh material. Not only does it offer anatomical support strapping that is seamless, it also fits snugly and is very comfortable. Moreover, it is ultra-light and very breathable. The shoe’s anatomical 5-Lug midfoot pattern offers traction that improves efficiency and flexibility. The toe box is also wider and has an integrated TPU Toe Cap that offers barefoot runners great stability. Furthermore, the shoe is very durable and has a heel-to-toe that is made of high-density durable rubber. For arch support, this shoe has a shaft that measures approximately low-top from the arch. Another great feature of this shoe is its biomechanical metatarsal sensor plate that enhances your run by giving you a nice ground feel. 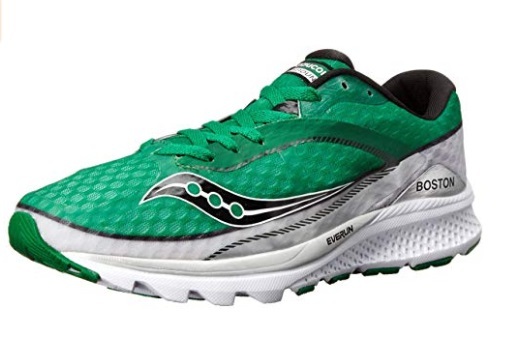 The rear foot’s heel-enabled action/reaction technology provides cushioning and energy-return. 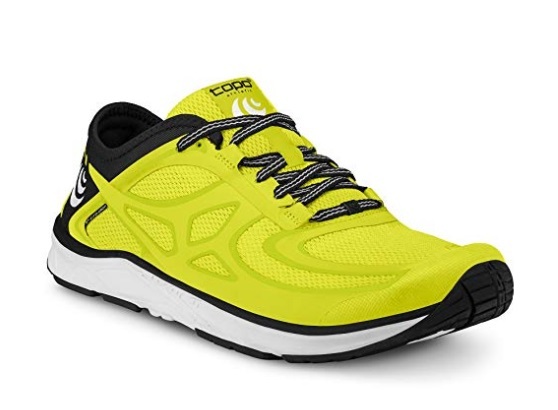 This barefoot running shoe is made from mesh and has an integrated TPU system. Its upper is made of thermoplastic polyurethane and well-ventilated mesh. 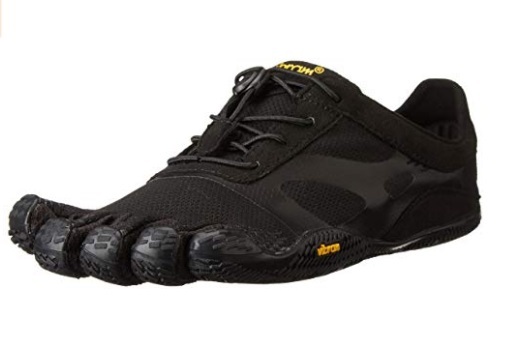 For traction, this shoe offers a very sticky and durable Vibram outsole with lug patterns that provide stability and flexibility on all surfaces. For efficiency and style, you are offered a lace-up vamp and a pull tab. With this shoe, you will not have to deal with odors because of the antimicrobial agents embedded in it. More so, long-lasting M Select Fresh is available to keep your shoes and feet very fresh and cool. Merrell Vapor Glove 2 will offer you zero-drop contact with the ground and an uninhibited stride. This barefoot running shoe is made of synthetic and mesh. It gives you an approximately 4mm drop and low-top shaft from the arch. It has antimicrobial and odor-resistant treatment to reduce odor and its Vibram sole is highly durable. Many reviewers commended the shoe’s traction and grip on different terrains and for ascents and descents. 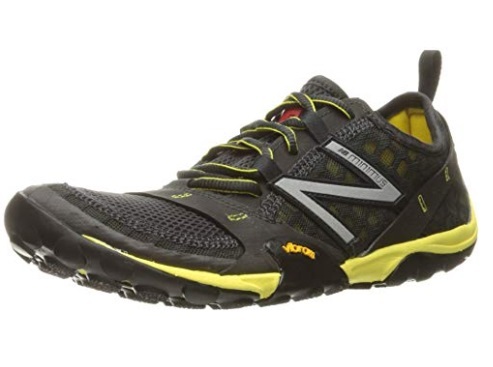 This traction is provided by the Minimus feature of the shoe. It offers advanced comfort, protection, traction, flexibility and durability. The major downside is that it runs small and needs a break-in period. This barefoot running shoe is made of synthetic. With a flexible rubber sole and a removable insole, this shoe gives you a shaft measuring about 2.5” from the arch. 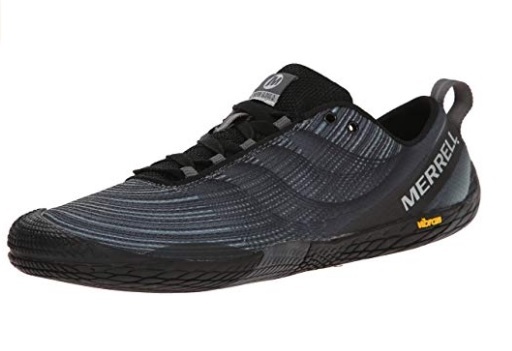 This lightweight shoe gives you a snug and lockdown fit with its thin Flex Film Overlay at the upper unit, as well as a great underfoot feeling while running. Furthermore, an efficient EVERUN heel insert protects you from impact. It also provides good energy return and gives you additional cushioning. This barefoot running shoe is of polyester fabric. It offers zero-drop and a shaft that measures about 2.55” from the arch. One of the favorite features of this shoe is its KSO EVO that offers excellent grip and is also very flexible. In addition, the toe slots hug each toe snugly, improving the natural feel. It also quickly adapts to the biomechanics of the barefoot runner. Furthermore, Vibram FiveFingers has a slightly cushioned tongue with a speed lacing feature. The lug design of this shoe is serrated blade and you can machine wash and dry. The XS Trek outsole is thin, responsive, durable, balanced, and supportive. Moreover, it has comfortable absorbs that shock very well and also offers very good traction. 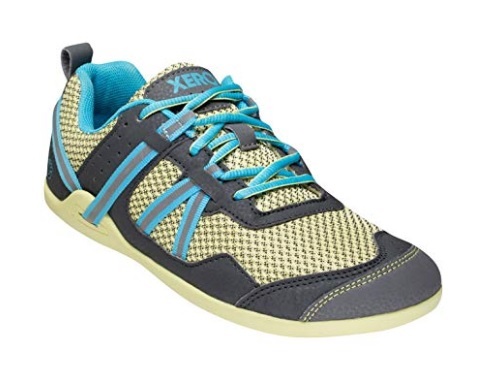 This barefoot running shoe is made from lightweight material with a rubber sole. This shoe is designed to give you an all-round natural feel. This shoe weighs about 6 ounces and has a sole warranty of about 5,000 miles. It gives natural motion, is very flexible, non-elevated, and has a stack height of 7-8mm. The zero-drop heel will keep you agile and well-balanced throughout your run. The lacing system is reflective with instep straps that are adjustable and gives your midfoot a secured fit. This barefoot running shoe is of durable fabric. The well-ventilated air mesh upper, laminated overlays and asymmetrical lacing of this shoe are all tastefully reflective. As for the sole, it is made of very durable 0mm Injection Blown Rubber and offers little cushioning, flexibility, great grip, good ground feel, and protection from abrasion, impact and gravels. This shoe also has a zero-drop and is water-resistant. This barefoot running shoe is of mesh material. For uniqueness, this shoe has a heel counter that is fully collapsible, easy to package, hugs the feet snugly and also keeps them very secured. This highly versatile shoe is also seamless and lightweight. It has the ability to mold naturally to your feet allowing a more natural stride. The engineering of this shoe will ensure you have comfort and effectiveness while training, working out, and running. It has a zero-drop and a 5mm removable foot bed. Development of Natural Gait – Running barefoot helps to propel the body forward, strengthen your feet and help you develop a more natural gait. Strengthens Important Areas – Running barefoot helps to strengthen the foot’s tendons, intrinsic muscles, and ligaments. Generally, after several times of running, your feet will become stronger and more capable. Reduces Injuries in Some Way – Running barefoot helps to strengthen and stretch the Achilles tendon and also the calf muscles thereby reducing injuries like Achilles tendonitis and a strained calf. Teaches Proper Landing – Running barefoot helps to give you a mid or forefoot landing instead of heel landing. When you strike your heel, you get a needless braking action on each stride, preventing a proper forward momentum. However, landing on your mid or forefoot gives you a midfoot strike which is the best for runners as it ensures biomechanical efficiency by keeping their strides smooth and fluid. Helps Shock Absorbance – Running barefoot helps to give you proper landing which in turn helps your arches to act as natural shock and impact absorbers. Improves Balance – Running barefoot activates your feet’s intrinsic muscles, ankles and lower legs for improved balance and coordination. It also enables your body to detect movement and the placement of your limbs and joints. Basically, when you run barefoot, the small muscles in your feet will be able to do the work that they are unable to do when you are wearing shoes. Connects you to the Environment – Running barefoot gives you better ground feel to enable you to to feel connected to your environment. It will teach you to spread your toes and expand your foot in a way that will support your movement. Quite Unnecessary – There is really no point going through the discomfort of running barefoot if you are not experiencing any pain or discomfort with running with good shoes. Why fix what is not broken? Offers Little or No Protection – Running barefoot will make the soft tissues and bones of your foot, ankle, leg, hips, and spine to absorb the impact that should have been absorbed by the cushioning of running shoes. Too much absorbance of this impact could lead to shin splints, Achilles tendonitis, and stress fractures. Causes Blisters – Running barefoot will cause the skin on the soles of your feet to harden and this could lead to blisters until your feet adjust to your new running procedure. These blisters could either make it very hard for you to run for some time and even turn to calluses. The switch from running with shoes to running barefoot should be gradual in order to be successful. 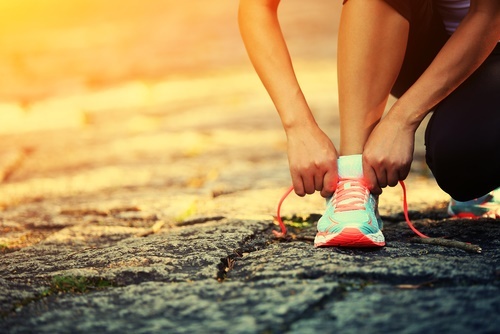 May Lead to Injuries – Although it has been argued that running with shoes also causes injury, running without shoes could also endanger your feet. The terrain you are running on may not be smooth, dry or completely free from gravel or sharp objects; there could be shards of glass, nails, sharp rocks, thorns, or even particles and surfaces that could make you slip while running. May Cause Plantar Fascia Pain – Running barefoot could overwork or strain your plantar fascia leading to more complications like plantar fasciitis. This is because the bottom of the foot will not have the protection and support that the stiff soles of running shoes usually give it. Bad for Cold Weather – Running barefoot could cause frostbite on your feet in icy or snowy weather. Wearing shoes usually offers protection from weather elements. In conclusion, running barefoot is the best way to run because the ball of your foot will land on the ground first while running, thereby reducing impact. However, you will need protection from rough or littered terrain without taking way the barefoot-feel. Some people term this semi-barefoot running. To help discover the product fit for you, we have picked out some of the best barefoot running shoes and provide them above. Therefore, make sure to take some of the suggestions into consideration.